AllerTOP’s 5 in 1 Mandoline Slicer is designed to cut and slice vegetables, fruits, cheeses, ham and sausages with minimal effort. 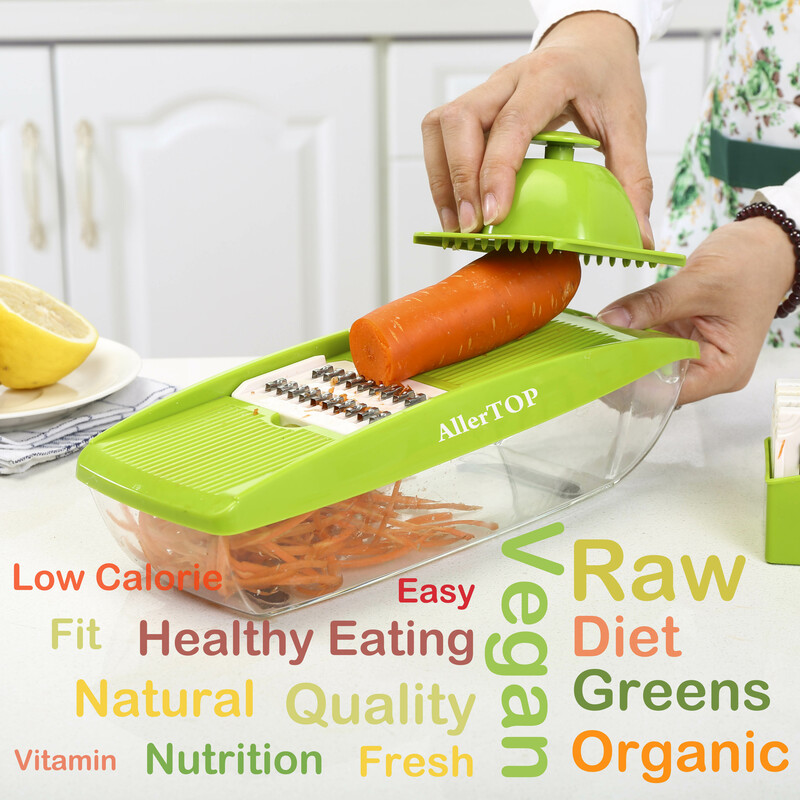 AllerTOP’s 5 in 1 Mandoline Slicer is designed to cut and slice vegetables, fruits, cheeses, ham and sausages with minimal effort. All 5 interchangeable blades are made of the highest quality stainless steel. They are sharp, durable and will never rust. The mandoline slicer is placed on top of a food container base so that it will never slip. 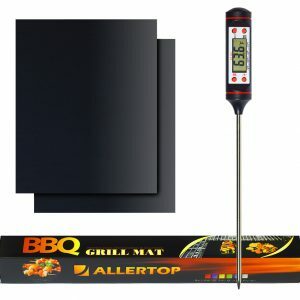 The holder cap holds the food while in use to prevent your hands and fingers from ever touching the blades. The food container will catch all the sliced food to keep it clean for salad making or further cooking.